The Jesuit Provincial Fr. Anthony da Silva joined the Chief Minister to light the traditional lamp along with Cosmologist Dr. Orla Hazra, the Principal of Loyola Fr. William Rodrigues SJ, Alumni (LESA)President Dr. Augustine Misquita and Co-ordinator of Tarumitra Fr. Robert Athickal. Fr. Anthony in his welcome address requested the Chief Minister to remain vigilant on the forces that are bent on destroying the fabled legendary Goa. Alice Misquita who compered the programme expressed hope that the teachers and parents would help the students to take into their head their unique role as decision-makers of tomorrow. Mr. Francisco Lume Pereira of the Fomento Resources reiterated the firm resolve his company has taken to promote environmental care. Co-ordinating the workshop , Fr. Athickal warned the assembly that the present day Goa would disappear right in front of their eyes in less than ten years. He said that the city was bursting at its seams as an unprecedented number of visitors made a beeline to the city. The holiday makers would return to their respective places after dumping piles of stinking garbage into the city drains and the now drying River Mandovi. 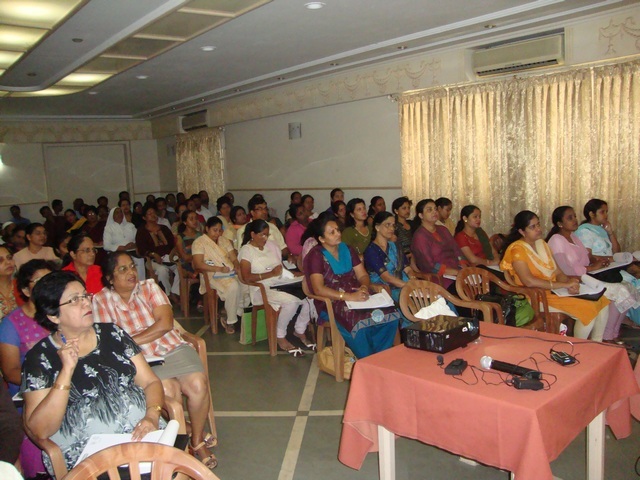 A core group of teachers was constituted to carry on the follow up actions under the leadership of Ms Durga Shirodkar, Loyola high school. 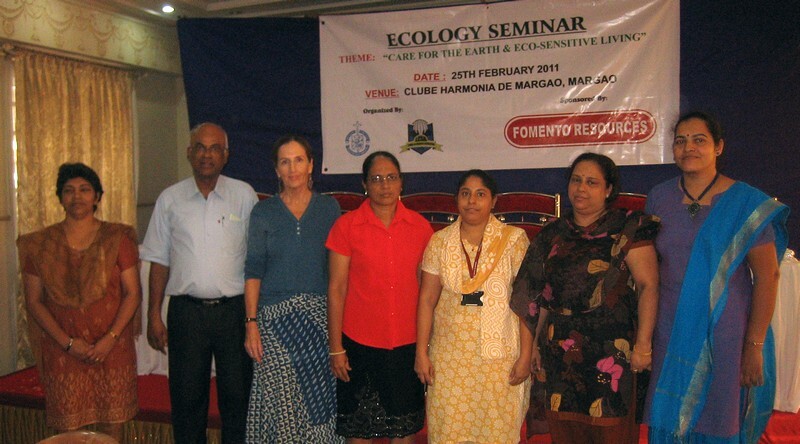 Ms. Luisa Mascarenhas, Our Lady of Lourdes, Utorda, Ms Dulcina Pereira, Fatima Convent HS, Ms Shaefali Lendhay Vidya Vikas Academy, Anita Keny New Era HS are the members of the core group. 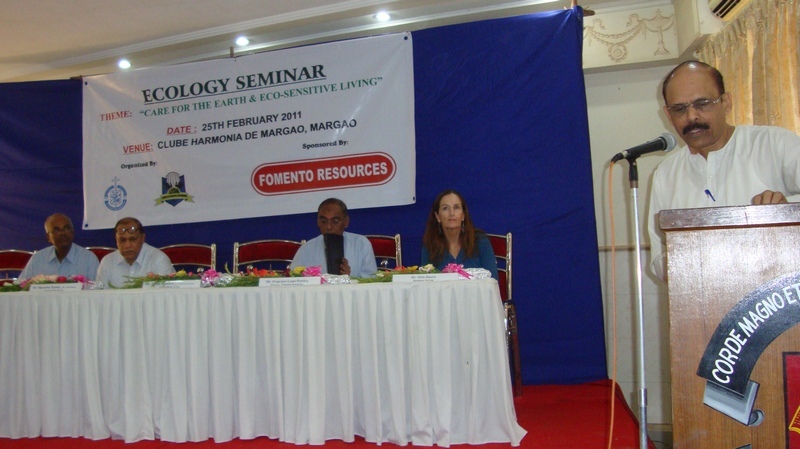 A second Seminar was also organized by the Jesuits in the nearby city Belgaum on the following day. 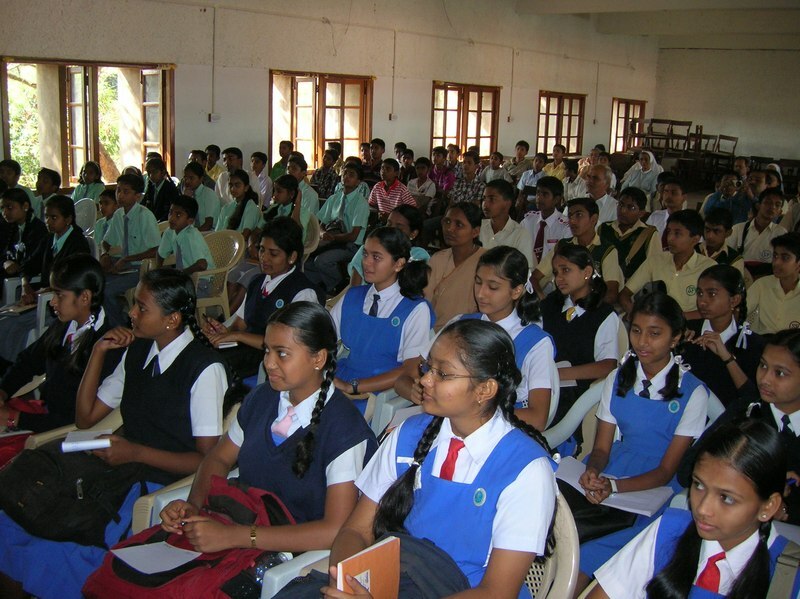 Besides the Jesuits, students and teachers from St. Joseph’s, St. Paul’s, Sarvodaya, Bhatkande, Divine Mercy and Divine Providence also joined the sessions. The venue of the meeting was the Xavier Training College (XTS)with its 70 acre farm greenery at the background. Over a hundred participants promised to take up action. Each of the schools planned a number of action plans for the year. Fr. Roland Coelho S.J along with Fr. Beneto Fernandes SJ promised to co-ordinate the campaign in Belgaum at the foothills of the Western Ghats. 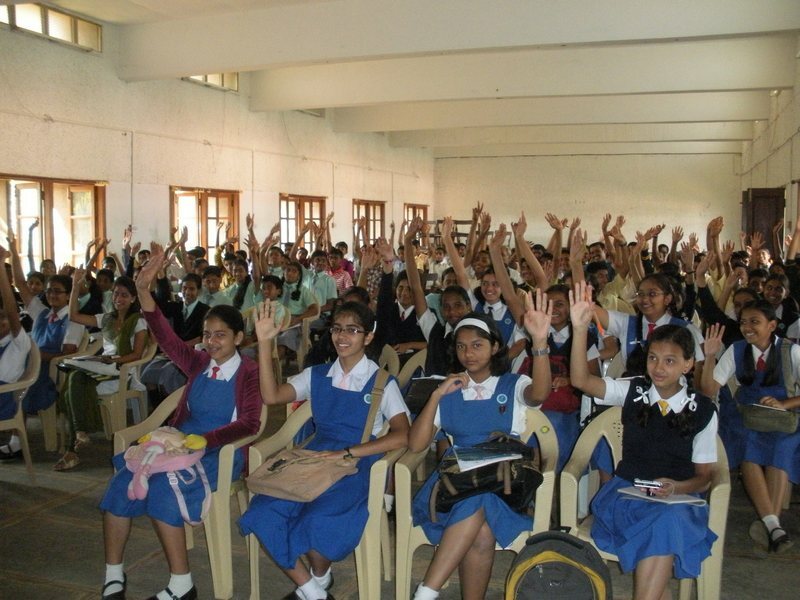 XTS offered the students a round the clock welcome for future eco-camps in its spacious campus. Fr. 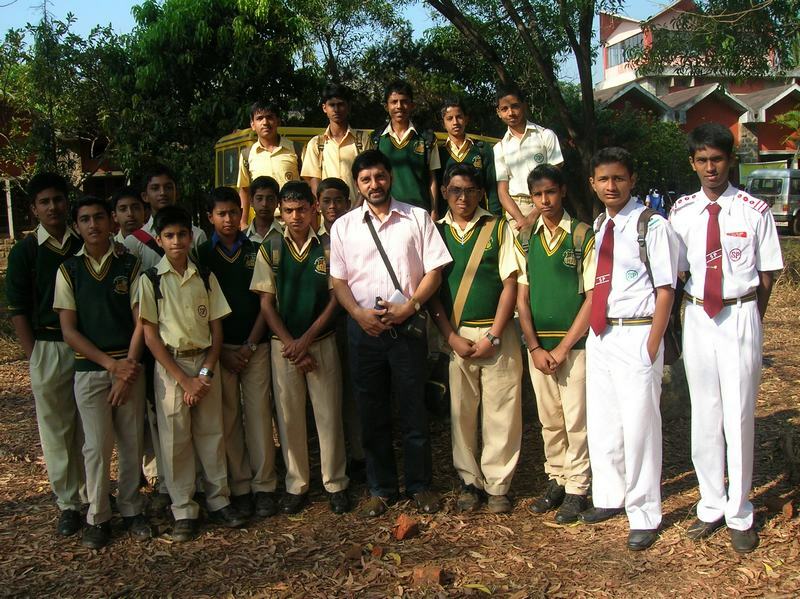 Agnelo Mascarenhas from Panjim Goa, accompanied the Tarumitra team to Belgaum. He also compered the workshop for the Jesuits on 26 Feb evening. 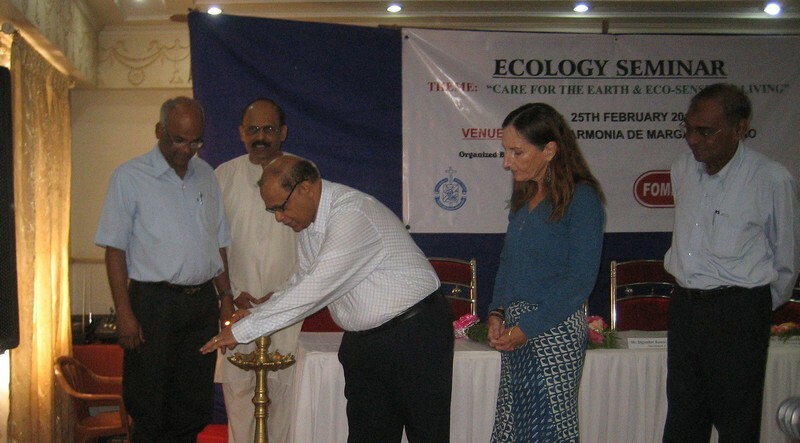 The 25 plus veteran Jesuit educationists who brainstormed for Belgaum suggested the possibility of XTS becoming a hub for the conservation of Bio-diversity. They asked Fr. Benita Fernandes if he could pioneer a Bio-reserve for the State as well as to resort to the organic farming methods in the campus.